The day could have been going smoothly, then the next thing you know an accident happens. With so many cars on the road at all times, especially huge 18-Wheelers, an accident is bound to happen at some point. During an accident your body goes into shock, and you may struggle to focus on what to do next if you haven’t been seriously injured. Whether the accident is major or minor, it’s important to take note of your surroundings and as much as you can remember. Understandably, post accident shock can cloud your judgement but it is still important to try and stay calm. 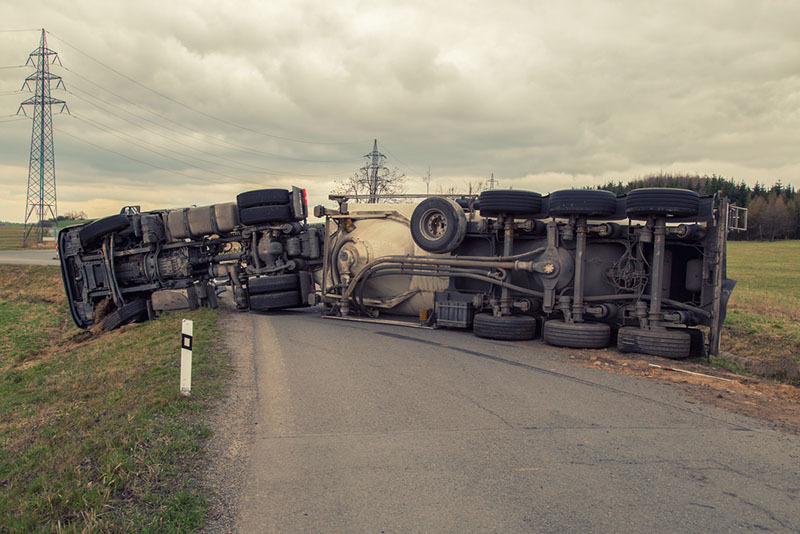 There are a few things to remember if you have been in a big rig accident, and an injury lawyer can walk you through what to do next. A big rig could be a semi-truck, trailer combo, large commercial van or a large tow truck. These types of vehicles have less visibility, and ultimately have to be more careful on the road. Changing lanes, sharp turns and drastic maneuvers on the road could lead to accidents and injury. If large truck drivers are not aware of their surroundings on the road, it could cause lead to bigger issues. First, know that big rig drivers need to be aware that the same rules of the road apply to them. It seems as though it is all too often that a truck driver will take agency on the road or highway when they should stay cognizant of the other cars around them. In turn, if a truck driver has been working lengthy hours, they need to realize when the right time to stop is. If you have been in a big rig accident, it is important to take pictures of everything. Take pictures of the conditions of the cars, the drivers information, and any other significant information that may be pertinent to you case. Be sure to remember the weather and the conditions of the road during the accident. Oftentimes if drivers have made rash decisions during inclimate weather it could reflect differently upon the driver and the situation. Driving a large commercial vehicle isn’t an easy task, however that only means that operating said vehicle should be done so with heightened awareness. Finding the right big rig accident lawyer can be a process, but the LA Injury Group is a firm filled with experienced individuals who know the right steps to take if you have been in an accident. Call (818) 210-4558 if you would like to speak with a representative of the LA Injury Group and get a free case evaluation before contacting your insurance company.